To view all our previous newsletters please go to our Archives page from the tab above or this link Archives. Please note that some of the links and addresses in the archived publications may be out of date now and may not work. To return to this page use the back arrow at the top left of your screen. To read the latest edition December 2018 - Click on the Contact! Contact! banner below to view the current issue on line or go into the Archives and down load it as a PDF file. If you want to be a NEW subscriber please complete and submit this form below. If you want to change your address please complete this form below. 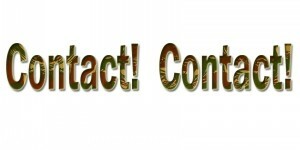 Please please please - DO NOT complete this form if you already receive Contact! Contact! Contact! Contact! is compiled by Hugh Bomford, Editor of the Rhodesian Services Association. It contains many personal views and comments which may not always be the views of the Association or Committee. To unsubscribe send email to theeditor@rhodesianservices.org with UNSUBSCRIBE in the Subject line.